Short track speed skater who took silver in the 500 meters at the 2014 World Championships and bronze in the 1,000 meters at the 2013 World Championships. He moved to Nottingham, England when she was 15 years old to train. She competed in the 2010 Olympics, finishing 11th in the 500 meters. She was born in Livingston, Scotland. 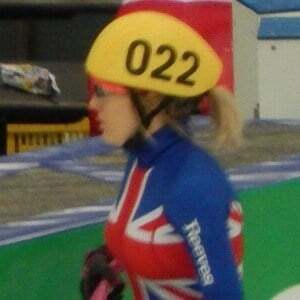 Amy Williams also represented Great Britain at the 2010 Olympics, winning gold in the skeleton.